My impression of MedtronicDAF and the Getty Museum. I saw some amazing things on the walls in Los Angeles. A 1667 painting that we were convince was an endo visit but may have been an EPT and guys with leather chaps and Harley gear visiting the Flemish gallery at the Getty. Of it all, I liked the impressionists best. Manet’s “The Rue Mosnier with Flags” was stunning. Painted in 1878 it strikes me as a relevant critique of public displays of nationalism while the veteran with crutches shows who may bear the costs. 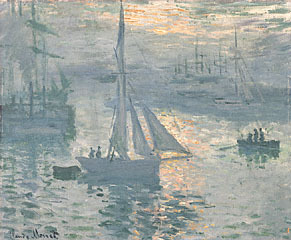 I found Monet’s painting of light somehow, more real than actual light. Yet it was Desborough’s Depictions on the Principles I found most hopeful. His series of single page works are fine art. Lane Desborough is part of the artificial pancreas research team at Medtronic. On one wall the team has posters detailing the principles that guide their work. They all signed the posters committing to the principles. 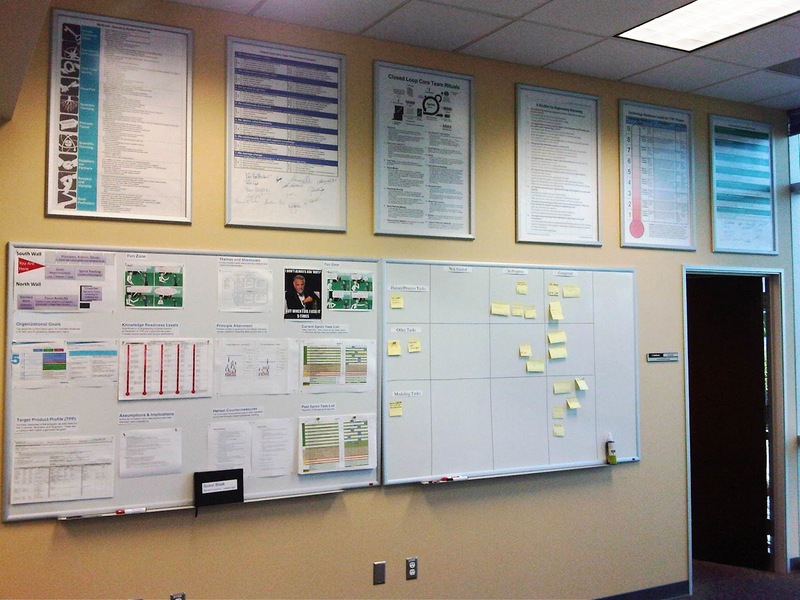 Hanging on the opposite wall are brief, one page papers, illuminating their progress to waypoints on the journey the principles inform. content is proprietary. This image was provided by Lane. I tried to read a few of the one page abstracts. Like the works of other impressionist masters, when you look closely what seems a clear picture of an event, place or light on water is something else entirely. Something possibly outside your expectations and possibly beyond your ability to comprehend. Step back and an image appears clear again. Lane's team are serious scientists including PhDs from domains other than diabetes, like aerospace and industrial chemical refining. One had been in defense contracting. Their art is to understand and transfer variability from one place to another where it is tweaked and adjusted. For example aerospace understands autopilots. A plane can be moved deliberately through three dimensions, safely, with input from gyroscopes and navigational instruments. Chemical plants routinely crank out refined products and we think nothing of the catalysts and complexity involved. 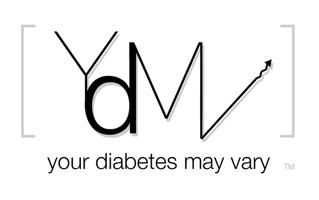 The team's work is to defend future patients from some of diabetes variations. It is fine art. Engineering art. This team is bringing their experience to make an autopilot to refine blood sugar. They are guided by principles, post abstracts on the walls and when you step back an look at their art you can see that maybe there is an image of the future in their art. An image of a better future. Lane sent me a video of a trebuchet he and his son build with Legos. That too is fine art and better father, son and dog interaction that managing a boy’s insulin. Being dad, like science is an art. That art matters most, or at least that was my impression of what I saw on the walls in LA. In a future post I will share more about the guiding principles with lanes consent but for me the reality is in the impression. Also, Lane was clear that part of his process is to consciously work past the not invented her syndrome and proudly borrow from other domains. With that in mind please see my disclosure about MedtronicDAF proudly borrowing from a friend. I love, LOVE, how you connected those two experiences. I can't get the post-it notes out of my head. The idea that the technology behind closing the loop might come from post-its on a white board pretty much boggles my mind! Sara - do you meant the post it are not unlike the seaming unrefined blobs of paint that as a whole give Monet's reflected light texture? Yeah kind head bending. Sadly I can neither get blobs of paint or post-it to preform the same ways.